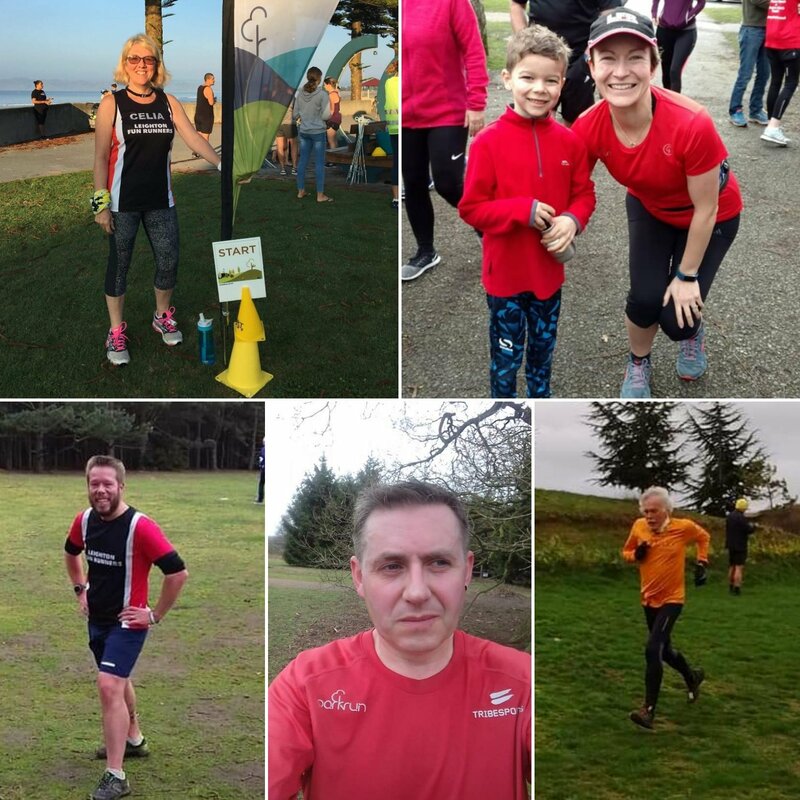 Leighton Fun Runners > Latest News > This is the week that was…Storm Gareth! Storm Gareth came and went this week. We ran in the wind doing loops at Chartmoor Road; Janice beasted the team at Fartlek; James took the Improvers for some park Sprintervals; and Katharine and Jenny led a windy, but wonderful Friday morning run. parkrun day saw LFRs at Westmill (where Chris and Dave completed their parkrun compass challenge), Linford Wood, Houghton Hall (where Tom came 2nd and bagged an incredible PB of 18.44), Aylesbury, Kingsbury Water, Longrun Meadow, Buckingham, Tring, Rushmere and Celia still parkrun touring at Gisborne parkrun in New Zealand running a fabulous time of 27.59 – the southern hemisphere suits you, Celia! Also running a parkrun on his 75th birthday was LFR Len at Sheffield parkrun. Unfortunately the parkrun had to be cancelled. But Len and 150 other runners ran it anyway! Happy Birthday, Len! The weekend was another busy one for Team LFR. The weather did not stop us. Here we go…. 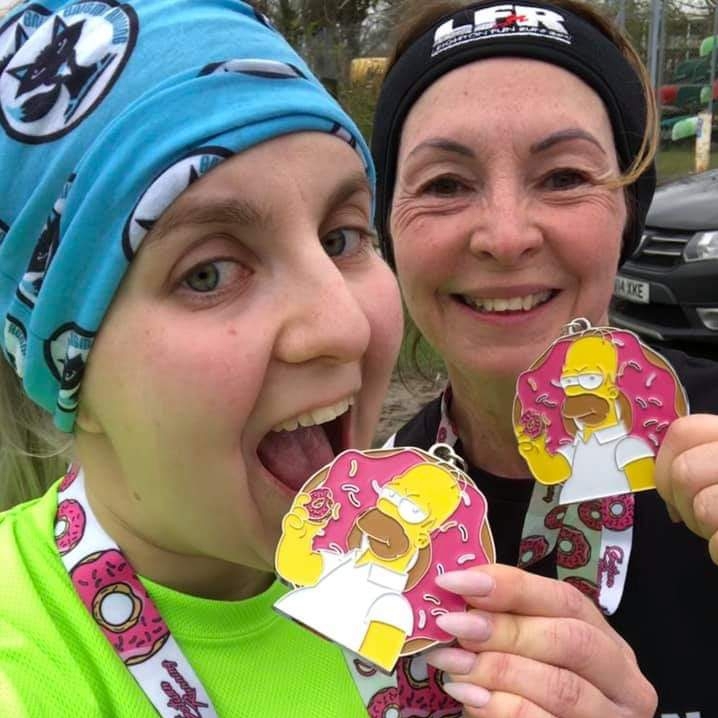 Team Turner, Stephanie and Annis, were running six laps around Thames Valley Nature Park for the 20 miles Doh’Nut Run. There were even doughnuts at the end (real ones, not those medals! ); Peter was at the Fleet Half; and Emily bagged a 10K PB at the Richmond Riverside 10K. 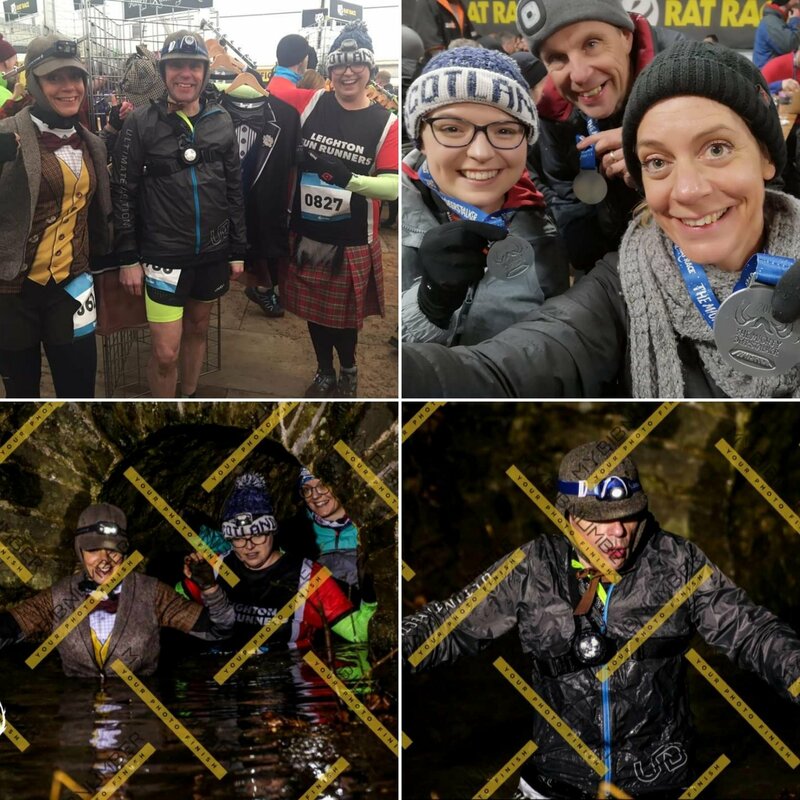 Sally, Jen and Andrew took a road trip to the Scottish Borders to take part in the Mighty Deerstalker. A night time headtorch run weaving up and down two mountains in the wind, wading through rivers, tunnels, and mud galore! Andrew managed a super fast time and even came 4th in his age category! 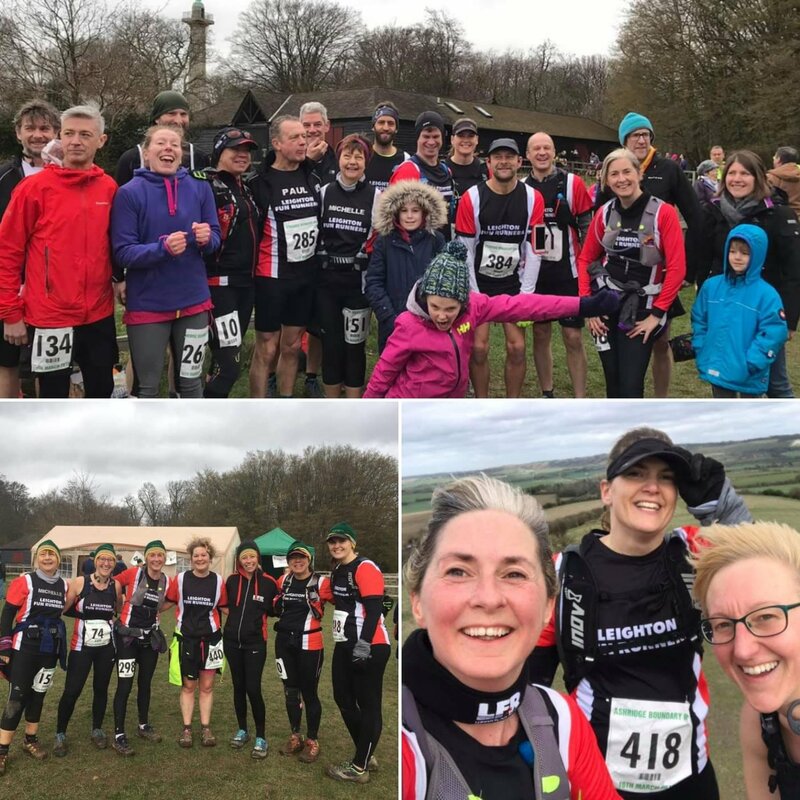 The team took on the Ashridge Boundary Run on Saturday– a 16.5 mile hilly trail run. Hugely windy. Mud everywhere. Superb efforts from everyone! A big thank you and well done also to the LFR supporters who stood out in the wind cheering the team on. 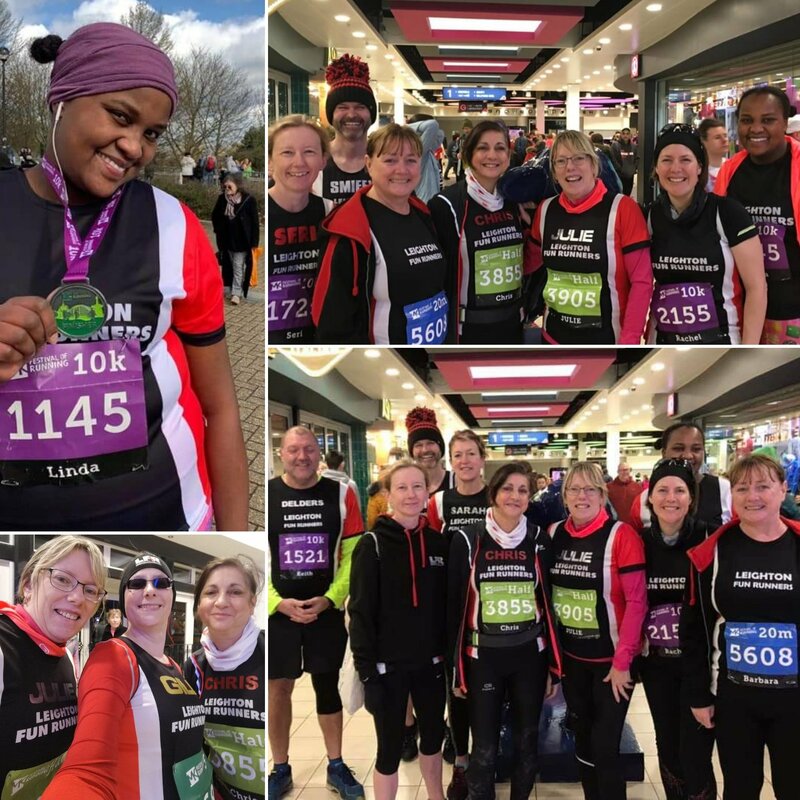 And finally it was the MK Festival of Running on Sunday with LFRs taking part in all distances: 5K, 10K, Half Marathon and 20 Miles! Well done everyone! 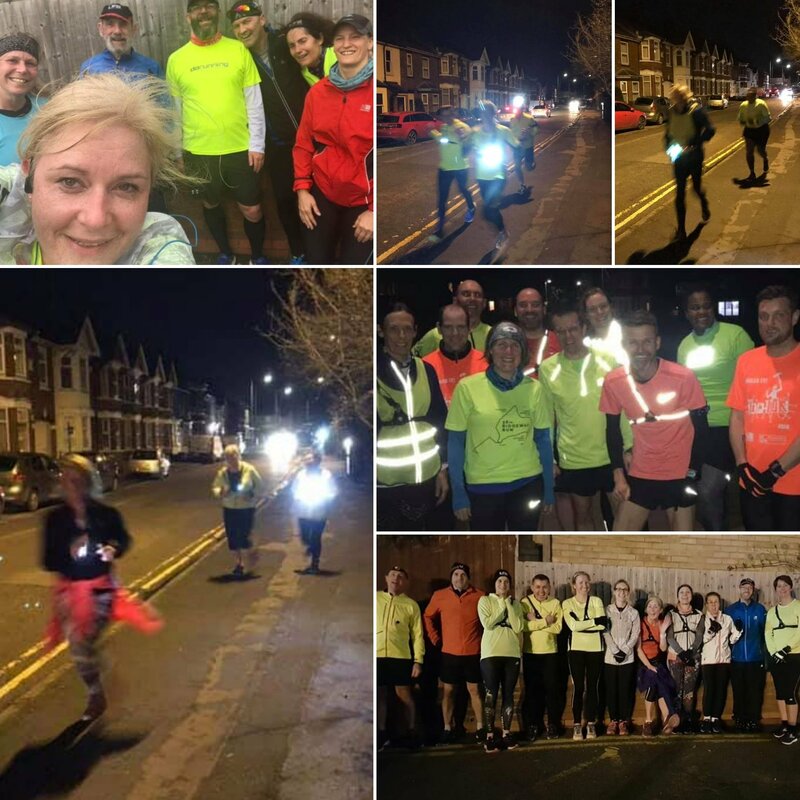 Of course not all LFRs were taking part in events and some still made it out in the wind getting the miles in for their training runs. Well done all. Another great week. Happy running, LFR!